A perennial that may reach as much as 10 feet in height, with lobed or dissected leaves that resemble a bears foot. 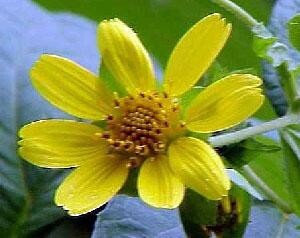 Yellow-flowered leaf-cup is primarily a weed of pastures, hay fields, fencerows, and roadsides. Lobed or dissected, 4 to 12 inches in length and about as wide. 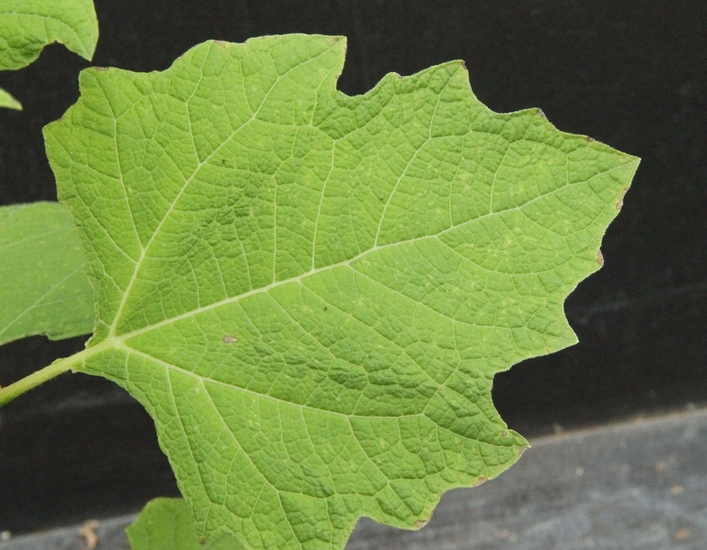 Leaves are rough to the touch on the upper leaf surfaces. 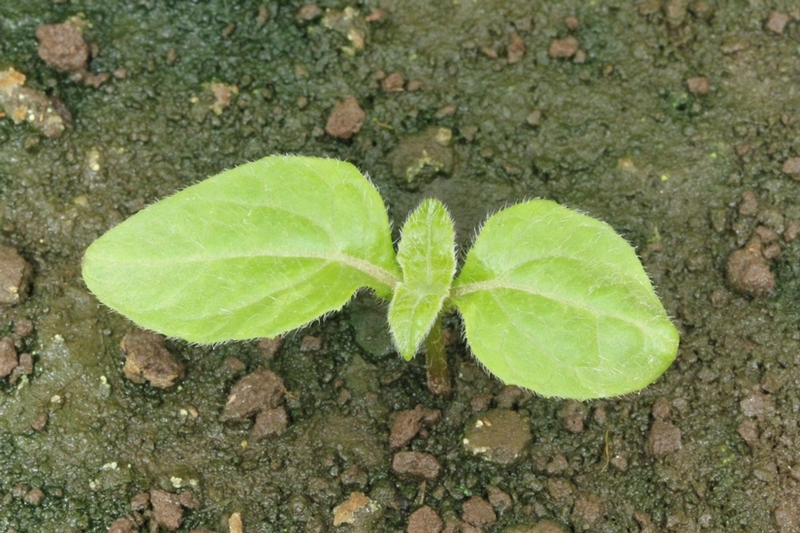 Leaves occur oppositely along the stem. Arising from a basal perennial crown. 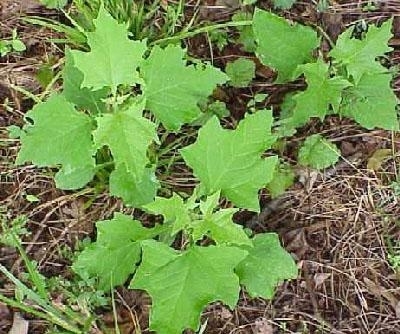 Stems are hollow and erect, ranging from 3 1/3 to 10 feet in height. Some stems also have purplish striations. 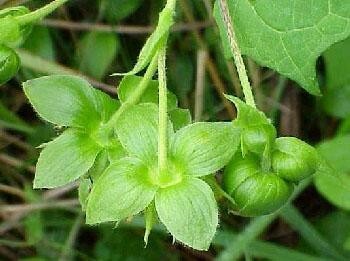 Occur in clusters at the ends of the erect stems. Flowers occur on flower stalks (peduncles) and consist of yellow ray flowers that are approximately 3/4 to 1 inch in length. A round nutlet, 4 to 6 mm long. Thick, fleshy, perennial in nature. 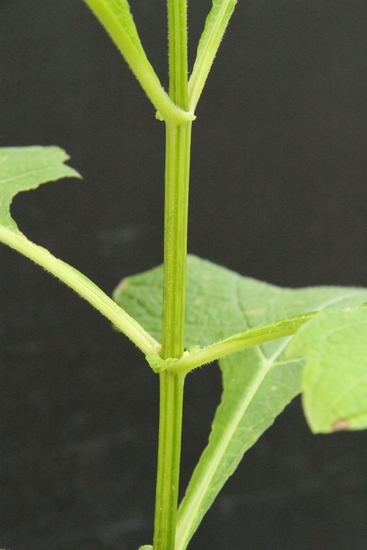 Stems arise from a basal crown. The lobed or dissected leaves that resemble a bears foot, stems that are hollow and often with purple striations, and the yellow ray flowers that occur in clusters are all characteristics that help in the identification of yellow-flowered leaf-cup. 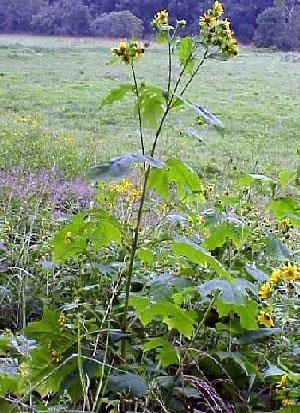 Due to the tall, erect growth habit and yellow flowers, this weed may be confused with Jerusalem Artichoke (Helianthus tuberosus). However, jerusalem artichoke has hairy stems and leaves that are lanceolate in outline unlike yellow-flowered leaf-cup.